Laguna Collection Black Full RoomSaver BedIncludes headboard, frame, ends, and 4-drawer storage unit. Style and function artfully combine in the Laguna collection. Storage drawers offer ample storage space, while a rich black cherry finish enhances its contemporary appeal. Black Full Contemporary RoomSaver Storage Bed - Laguna is rated 4.1 out of 5 by 18. Rated 5 out of 5 by Great4u Amazing quality I ordered this bed online for my son and RC Willey delivered it. Fast delivery, it said cherry black but is black in person which we were happy about because we were matching a black dresser. Great quality, my son loves it!! 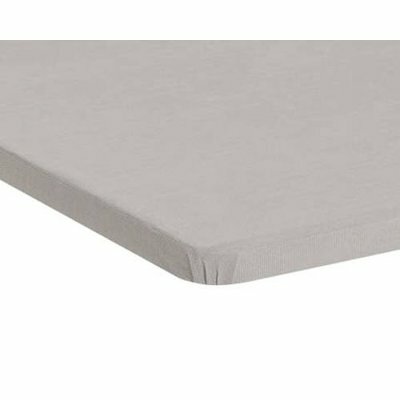 Rated 5 out of 5 by Dnt94 This product is a great buy This bed is a great buy for those who don’t have a lot of space in their room. Very sturdy and great quality. Rated 5 out of 5 by AnnMarieT Great product! I bought this bed for my teenaged son. It is holding up very well, even after more than a year. And considering my son spends so much time in his room watching tv and gaming (and he's a typical teen boy - not exactly gentle on furniture! ), this bed (and the matching dresser) are looking as good as the day we bought it. Rated 2 out of 5 by akgapgirl1 Laguna Bed This an awesome bed for it's many purposes. I love all the drawers for organization and it's size. I was able to get rid of my son's dresser and use the drawers on this bed instead. Plus it has all kinds of amazing storage underneath the bed. The only thing I did not like about the bed is that it is made out of pine. When it was delivered to my house there were all kinds of dings and scratches on the bed. And where the scratches were it looks like someone had taken a sharpie to the scratches thinking we would not see them. It actually made it much worse. RC Wiley did take care us and apologized for the scratches. I would definetly purchase furniture from RC Wiley again. They do take care of their customers. Rated 5 out of 5 by Mycb Lots of extra room. My son loves the hide out in the bottom of the bed. Great for extra storage that is not visible. Very nice and love the drawers. My son loves the hide out. Nice storage that is clean. Rated 5 out of 5 by brnthms Bed Great construction. Very sturdy. Looks great in room. Rated 5 out of 5 by AllJ Sturdy and great for small space! Bed and storage drawers are very sturdy. So far we are really happy with this purchase! Rated 5 out of 5 by Lovethisstore Love this bed Bought this bed for my 7 year old son as his "big boy bed". We both absolutely love it. I love that he will not grow out of it before he leaves home and it does not look like a child's bed. Goes nicely with grown up taste. He loves the hidden "fort" under the bed which is huge and could be used for storage too. Rated 4 out of 5 by mmpnlp This product is great for smaller bedrooms. This bedroom peice is great for my sons new bedroom. I didn't have to buy a whole bedroom set. This product is a headboard, nightstand and dresser all in one. What a great idea for a small room. Rated 4 out of 5 by JRMR Worth the money Product is well constructed and assembly was straightforward. However, the frame did have a wobble due to lack of cross bracing. Solved the wobble by screwing one end of the drawer assembly (which was a separate unit that slid into the bed frame) to the frame assembly. Wish it was available in colors other than black. Rated 1 out of 5 by Ronella Quality The bed was not made for a child. The poor quality makes it seem like the bed will fall apart. It creeks and makes a lot of noise when you move on it. Rated 4 out of 5 by pandabuddy my review i love this bed. it gorgeous and has lots of storage. plan on keeping it. Rated 4 out of 5 by irma tween bed love it my daughter is 11 and she loves this bed so much room storage and good quality furniture. Rated 4 out of 5 by Bed1 Space Saving in room I love this bed. It's unique and works well in my daughters room. The drawers are very sturdy and it's very pretty.